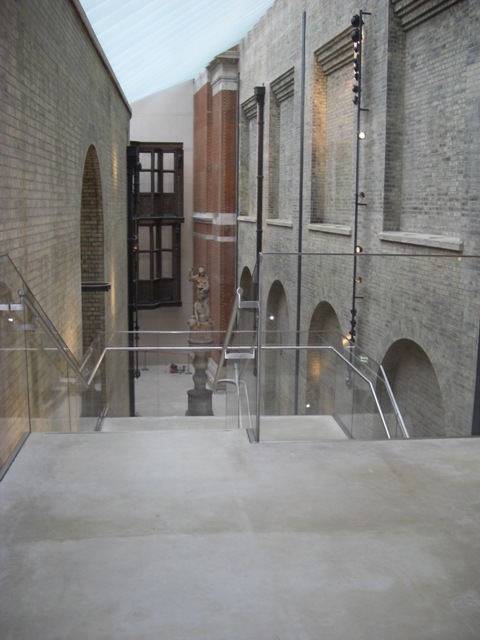 Aspinalls - Victoria and Albert Museum. 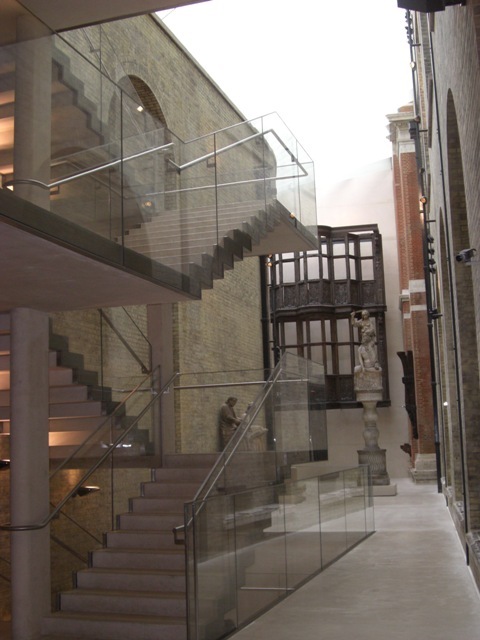 Glass and Stainless Steel Balustrade - UK Engineering Experts | Engineering Business UK | Qualified Engineers Lancashire | Mechanical Engineered Products | Mechanical Engineer Services. 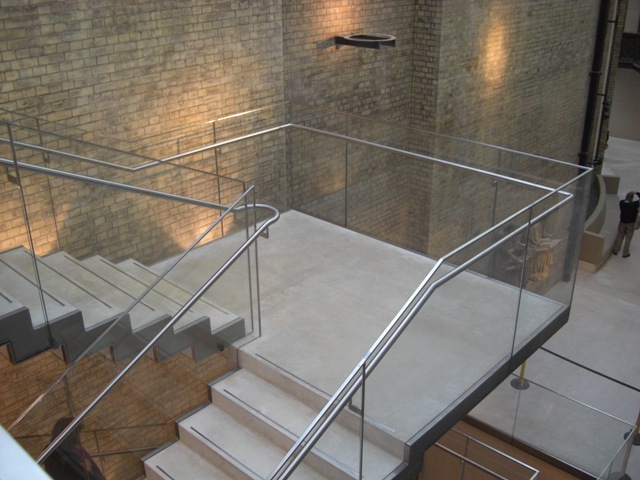 Aspinalls site measured, prepared fabrication details, supplied and installed a unique, particularly challenging feature glass and stainless steel balustrade to a cast concrete staircase and landings. Designed by MUMA Architects, the project presented a number of challenges; the glass and metal joint is achieved with no mechanical fixings, this was created using a sentry glass interlayer between glass and metal. 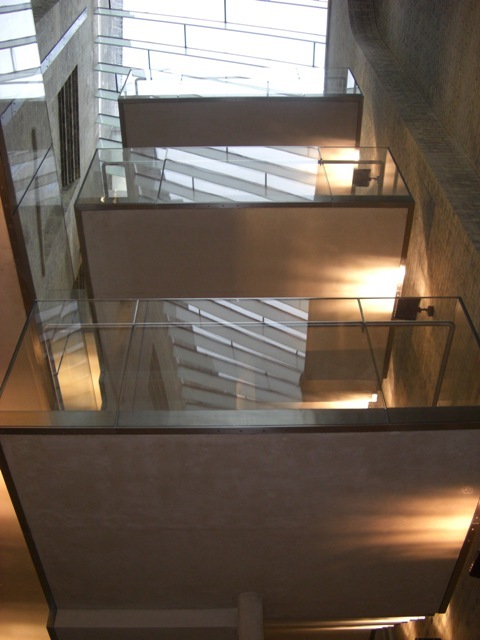 The edge profiles of the cast concrete staircase and landings were meticulously measured on site; every panel of balustrade was individually sized and engineered to tight tolerances to exactly mimic the cast concrete profile. The finished result is a stunning, slender, elegant design that leaves the observer wondering how it has been engineered.